One of the most attractive plates to be had was the Pohl presentation for the year 1944. 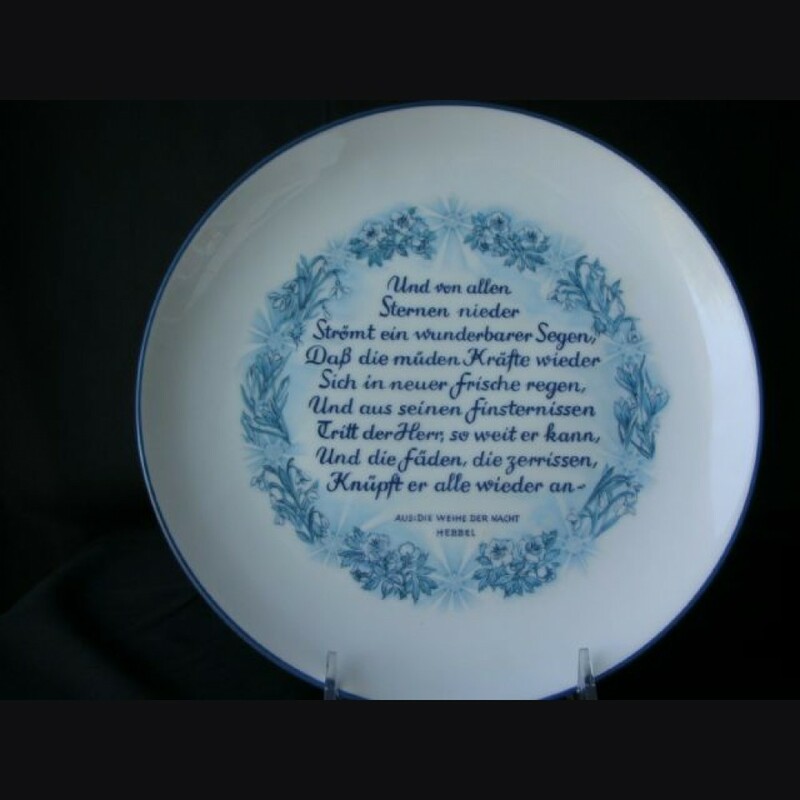 The plate bears a flower motif and a poem by Hebbel, the reverse has Oswald Pohl's dedication and signature. And the threads which have been broken he is mending all again." year. Pohl. S. S. - Obergruppenfuhrer and General of the Waffen S.S."